When you book a suite with us, included in the price are all your meals and wine, which means you are in for an Umbrian culinary experience for breakfast, lunch and dinner. Every meal is home-made using traditional recipes, rich in locally grown produce and locally hunted game so you can enjoy authentic Italian cooking. 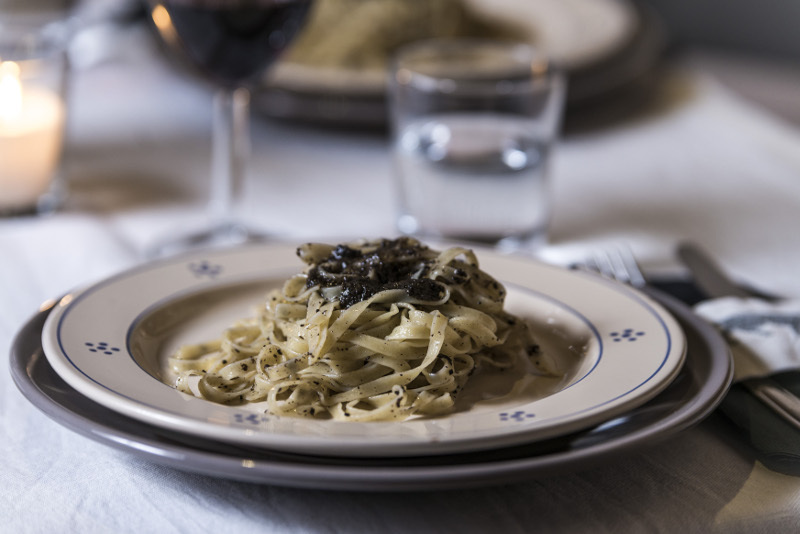 Great food is a very important part of life in Pettino and of the experience at the Black Truffle Lodge. We offer a very unique concept that we call the Cucina di Pettino, which can be translated as either Pettino’s Kitchen or Pettino Cuisine. It is our way of introducing you to the pleasures of the local cuisine. During your stay you will enjoy your meals either in the suite or in different family establishments around the village, from the Lodge’s kitchen, to a family home, or in one of the local family-owned restaurants. The Cucina di Pettino is designed to ensure you taste great food experiencing different aspects of the local cuisine, while immersing yourself in the atmosphere of the village and visiting some authentic local Italian establishments. Fresh ingredients, pure flavors and locally grown produce are among the principles of the Pettino Cuisine. The family farm produces a variety of different meats from beef and lamb to rabbit and pigeon, as well as vegetables and of course, truffles. Also local game is often featured on the menu at home or in the restaurants, from wild boar and venison to hare and woodcock. Another important part of the Cucina di Pettino experience that won’t be missing on the table is the local wine. You can try a variety of vini from homemade farmer’s wine, to select bottles from nearby vineyards. We also provide transport, where necessary, to the various dining locations around the village so you can fill your belly with great food and excellent wine without worrying about driving back to the comfort of your suite at the Lodge. Of course we are happy and will do our best to suit all individual tastes and needs, and can accommodate vegetarians and people with food allergies or intolerances. Remember too that the Cucina di Pettino is part of your all-inclusive experience at the Lodge and will not be added to your bill at the end of your stay. 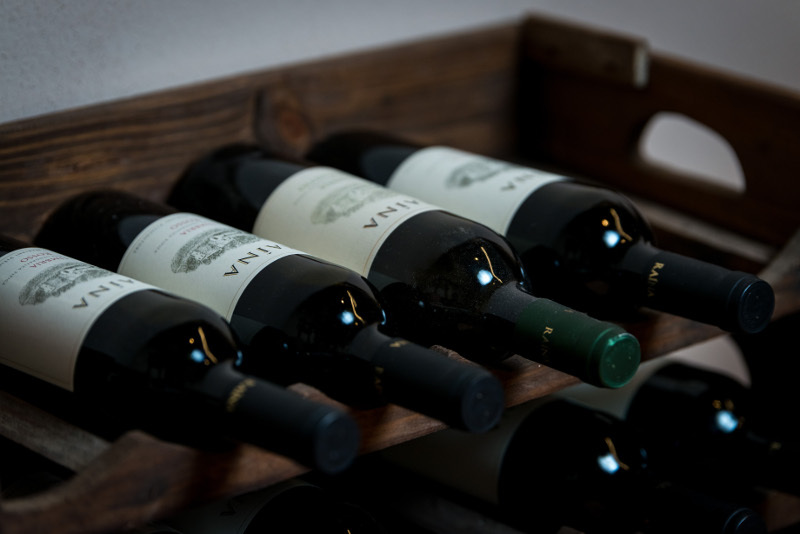 As a guest in our Lodge you will find a rack full of locally produced wines in your suite. We keep them stocked so that you can enjoy them in your own time during your whole stay. You can complement this with the daily supply of locally produced salamis, cheese and bread, also in your suite, so you can snack at your leisure. Just one of the many surprises we offer at the Black Truffle Lodge.